Our lovely Hannah is back into another adventure. Leaving the pirate caves, she's now heading to a colder place... the Ice Caves! With the help of her friend, Armin, the cute Bori, she'll need to get through the caves and through the different enemies. Welcome to the cold adventure of Hannah and the Ice Caves! Yep, that's how I rock it! Here are some details about our heroes, you can see their strengths and weaknesses during the game. Hannah Strengths: Jumps high, can swim. Weaknesses: Can't crawl through snow, can't destroy enemies by running over them. Armin Strengths: Can crawl through snow, can destroy enemies by running over them. Weaknesses: Can't jump high, can't swim. The heart bar shows you the number of lives you currently have. If you have four lives or more, the last heart will have a little plus sign in the center. Keep in mind that the heart bar is shared; if Hannah gets killed, Armin will lose a life as well! Characters can die even if they are not currently active. The End Game button takes you to the Game Over screen. From there you can choose to either restart your level, send your score, or start a new game. This button switches you to the currently inactive character. The S key has the same function. Who doesn't love treasure? The number on the left tells how many treasures you've collected so far; the number on the right is the total number of treasure chests in the level. This is your current score. The ten bubbles, located in the bottom-left corner of the screen, are only relevant when your character is swimming or underwater. When Hannah is underwater, a bubble pops every second or so; if all the bubbles pop before Hannah gets a chance to replenish her bubble supply, she drowns! Armin, on the other hand, will drown almost immediately after stepping foot in a pool of water. The following keys control the character's movements around the map. To crawl left or right, for example, one would hold down the 'crawl' and 'right' keys at the same time; that is, 'down arrow' and 'right arrow'. The same applies for jumping, just like the Pirate and Kreludor Caves games. Listed below are the tiles that make up the many levels of HatIC. Unless otherwise stated, all of these tiles can be destroyed by arrows and dynamite. Crates are not featured in this section, as they are outlined in their own section below. The boulder has three unique features: it can be pushed around by Hannah and Armin; it breaks platforms; and when a boulder is pushed onto another boulder with at least one blank tile next to it, it rolls to the side. If a boulder falls on your character, you lose a life. Ladders bring the characters up and down places where jumping isn't feasible. Does exactly what a ladder is supposed to do. To ascend to a platform, stand below it and jump up. As mentioned above, they can be crushed by boulders. One of the features found in HatIC, but not its predecessor. Armin's sharp Bori claws let him dig through the snow tunnels, but Hannah is unable to do anything about them. There are two types of crate in HatIC: wooden crates and metal crates. Both types of crate can be destroyed by arrows and dynamite; however, only wooden crates can be broken by Hannah or Armin. If a wooden crate falls on top of Hannah and Armin, it breaks; if a metal crate falls on top of a character, you lose a life. Note that if an arrow or a wooden dynamite crate falls on top of a character, he or she will die anyway, as the resulting arrow/dynamite will be launched straight into Armin or Hannah. The most basic of the crates, the Wooden Crate has no special functions but are good for a couple of extra points. Arrow Crates shoot an arrow in the direction shown. If a character is hit by an arrow, you lose a life. The way the dynamite flies depends on the direction from which you shoot it. Being too close to the resulting explosion can kill your character. The steel counterpart of the basic Wooden Crate. These cannot be directly broken by Hannah and Armin and you will lose a life if one falls on them. Similar to the Wooden Dynamite crate, only in a metal packaging. Once detonated, this destroys all breakable tiles within a one tile radius. There are also enemies in HATIC, they can be hard to defeat so here's the how-to. They can be killed if an arrow hits them or if a boulder/metal crate falls on them. Armin can run and destroy these skeletons. The Snowbeast can only be defeated by falling boulders/metal crates. Hannah can jump over them while Armin can't do anything against them. They can be killed by falling boulders/metal crates and by arrows. You can also duck down to avoid them. Here are the items that give bonuses; most of the time, they are hidden in Secret Places. The Extra Life is really worth the walk. In addition to giving you an extra life, they add 555 points to your score. Gems are good for your score; they give you 5,000 extra points at the end of the level. You might have remarked the little phrases written in the back of the game screen, it might give hints to what you should do sometimes. If you play only the last level, it will give you your 1,000np. Play it 3 times and voila! Armin can swim if you keep pressing on the space bar while clicking the up and left/right key (depends where you're heading). Press the left/right key repetitively if you want to run faster. There are no codes for this game. You will to run to the right have to jump over the spikes, until you reach the water. Keep going to the right but by swimming, and get down to reach the treasures. Jump up when you're done so you don't lose lives. When you have all the gifts; swim to the left, jump over the spikes, get to the door and move Armin in the door too after that! Go to the left through the snow and walk through the guards to kill them. Walk to the treasure and let them fall on you. Go to the far right where the door is, when Armin's at the door, switch to Hannah and bring her to the door too. Go to the right, jump over the wooden steps and collect the treasures. Watch out, there's a ghost at the top. While collecting the treasures, push the boulders off the edge so they fall on the spikes and destroy them. When that's done, get Armin to the across and to the door. Go to the left and hit all the arrows in order. That will clear the way for Armin. When you hit the one next to the door, move away or else a boulder will fall on you. Collect the treasure and move to the door. Go to the right and crawl under the snow. Then hit all the arrows, get the treasures. If you hit the middle one, an arrow will return so move away. Meet Hannah and the door on the left. Go to the right and push the dynamite. Then collect the treasures and kill the guards. Go past the door, crawl in the secret area. You will get an Extra Life, go to the left and wait at the door. Go to the right and hit the first arrow, it'll release the treasure. Crawl through the secret area to the right, jump on the wooden step and hit the arrow by walking on it. Collect the treasures and head to the door. Pick the treasures on the left, then run to the right by jumping over the platforms. Don't get hit by the ghost though. Go up the ladder. When you're at the top of the ladder, jump up and to the right and you will enter a secret area in the wall and you will collect the gems. Go back to the left through the platforms and jump up the wooden steps to get the treasures. Stop at the door and then bring Armin over. Go up and to the right as far as you can until you reach an arrow box. Hit it by walking on it, it'll fly down and clear Armin's path. Go to the right and collect the treasure that is down the ladder and to your left. Climb back up the ladder and go to the right. When you reach the second ladder, climb up it and go to your left. Hit the arrow above and move out of the way so that you are not hit by the boulders. Go to the right where it was blocked by the dynamite. Jump up the wooden steps, collect the treasures. Go to right still, and touch the arrow, move to the left and wait there. Go up and as far as possible to the right. Keep going right and kill the guard then go down the 2 ladders on the left. There's a secret area on the right of the second ladder, collect the gem. Go up and wait at the door. Go to the right and collect the treasure on the lower level. When you're done get back on top of the wooden platforms and go to the right. Go down the ladders, collect the treasure to the right and swim to the left. Get to the snow beasts and JUMP over them. Collect the treasures and urge back to the right and then to the door. Start by jumping on the steps to the left and get to the middle wooden step. Hit the arrow, it will fly to the right and hit the dynamite, collect the treasures. Go back to the left and collect the treasures under the ladder. Get up the ladders and go to the right. Walk gently in the dynamite and make one fall and blow up (quickly move to the left so you don't blow with it). Climb to the very top through the ladder and then jump to the left. From there, jump on the middle wooden step, hit the arrow and collect the treasures. Do the same thing on the left and then get at the bottom of the level through the middle steps. On the left, there is a bunch of treasures behind dynamite. The arrow is no use so go next to the dynamite and crawl down to a secret area. The door is now open, get Hannah and Armin to it. Level 9 - Nothing But NothingBackground Phrase: Help! Go to the far left and jump over the Snowbeast. Trigger the arrow next the door. It makes the boulders and treasures fall down and it kills the Snowbeast. Wait until the boulders stop falling and then go to the far left while collecting the treasures. Enter the door. Go up and then to the right until you see a Snowbeast. Jump over him but don't hit the spikes at the top. For a spare life, go to the far right collect it and come back after. If you're not that good at jumping, I wouldn't do it. After the Snowbeast, jump into the 3rd opening. Go to the door. Go to the left so you get to the ground and crawl through the ice. Kill the guards, get the treasures and then go to the door. Go to the right and knock the boulder off of the ledge, jump down onto the arrow that is sitting to the left of the boulder, collect the treasure on the far left and knock the boulder onto the next ledge. Next, jump down the ledges, kill the guard, crawl through the ice, move the boulder diffuse the arrow, and collect the treasure. When you go back to the right, just ignore the dynamite. 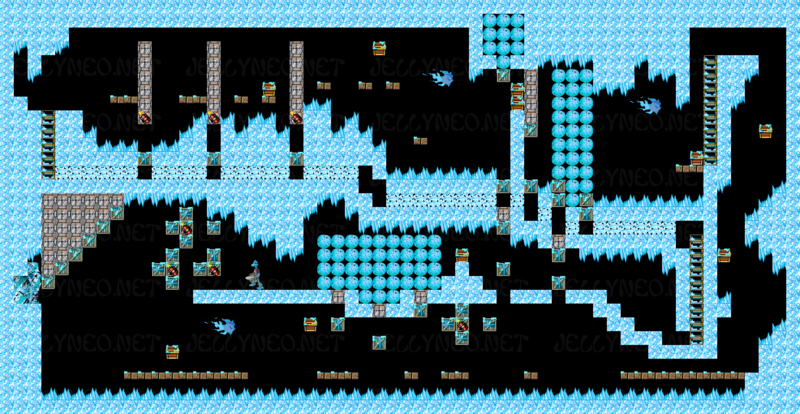 After this, jump from platform to platform to collect the treasure and avoid the ghost when you get to the next ledge. Finally, climb up the ladders, kill the guard, diffuse the arrow, crawl through the snow, and jump to the door. Follow Armin's path past the ghost and jump onto the first ledge. Then, jump through the secret area to collect the treasure. Next, climb the ladders and go to the door to complete the level. Alternatively, you can attempt to jump to the right and over the spikes to collect an extra life, but this is extremely difficult as there is also another ghost floating around that area. Simply crawl to the right and stand by the door. Fall down to the left and collect the treasure resting on boxes. Then, release the arrow in the center left, followed by the arrow in the center right. Fall to the right and crawl to the left to collect a gem. Then, follow the ladders up to the door. Just move Hannah away from the tower of dynamite. Crawl to the left, climb the ladder, and collect the different treasure chests by jumping off of the ladder and gliding to the right. Kill the guard at the second to last platform and then collect the treasure at the top of the cave. 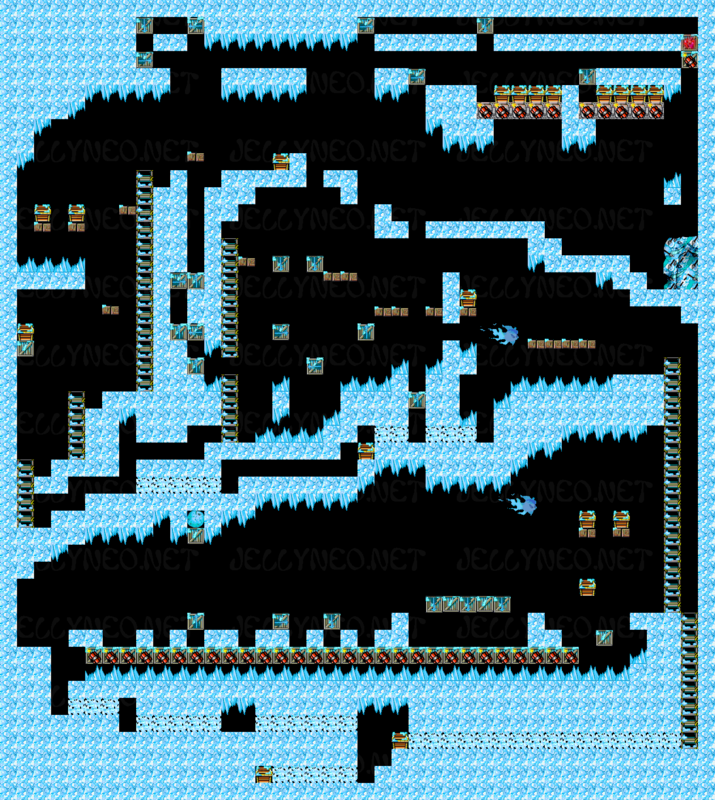 Then, return to the second to last platform and jump off of it while gliding right to collect more of the treasure. Finally, jump down to the next platform, release the arrow and crawl to the right to collect an extra life, jump down another platform and crawl to the right to collect a gem, and finish by falling down to the door. Go to the right, collecting treasure and pushing each block of dynamite to the right, eliminating spikes. When you reach the end, climb down the ladder and blow up the tower of dynamite before climbing back up the ladder a bit. Go all the way to the right and down the ladder like Hannah so that you can kill the guards at the bottom and blow up the pit of dynamite. When the boulders and treasure finish falling, knock the second arrow and then quickly jump up to avoid getting hit by the rest of the boulders. Collect the treasure and move left, killing the guard, blowing up the dynamite, and heading down the ladder. Then, go right, blowing up the spikes and killing the guard to get to the door. Follow Armin's path to get to the door. Go to the right and fall down and to the left to enter a secret area. Then, go left, down and right again to knock the arrow. (Be careful to avoid getting hit by one of the falling boulders). Then, push the out-of-place boulder into the gap and diffuse the dynamite so that Armin can come through later. Next, swim to the left, collecting treasure, knock the arrow at the end, and climb the ladder. In this area, knock the arrow at the far right, and wait for the treasure to drop so that you can collect it. On the right most ladder, press continually right until you find the secret area and collect the gem. In the next area, knock the arrow at the top of the two central platforms, and collect the treasure on the other side of the dynamite. Next, go left and crawl to the spikes. Follow Hannah's path until you reach the last area. There, knock the first arrow on the right. Then, go to the left and crawl through the ice to knock a boulder down for Hannah. Then, climb up and around to the other side to knock the second boulder down. Then return to the door. Crawl out and up to get to the door. Go to the right and jump down to the nearest platform. Then, crouch and wait for the water to be high enough for you to jump down and swim. 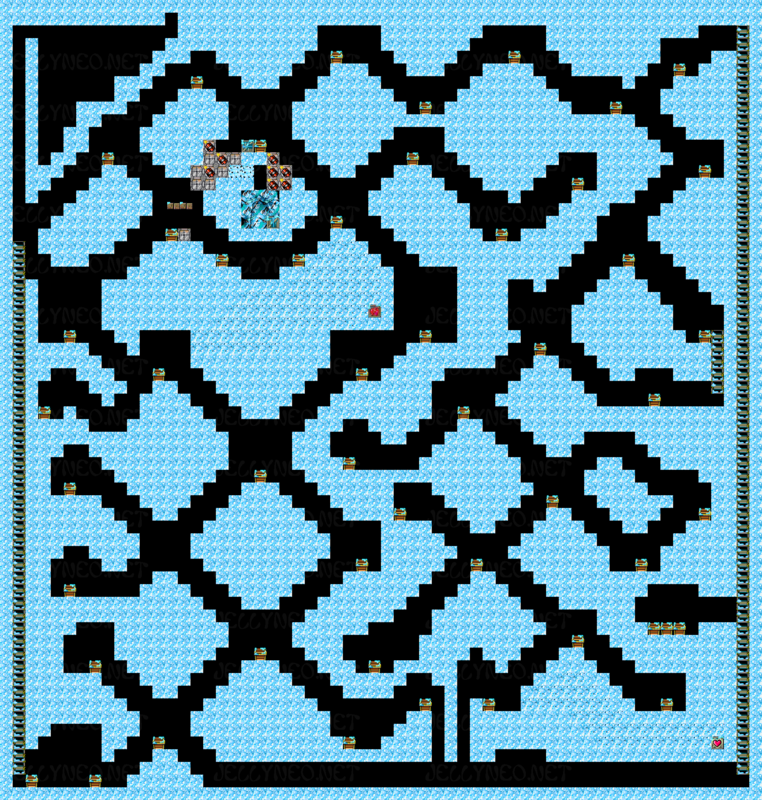 Next, swim all the way to the right and enter the secret area. Then, climb up and knock the arrow to diffuse the dynamite. Quickly collect the gem by crawing to your right. Then, go up the ladder, collect the treasure on the far right end of the platform, and then return to the door. Jump into the water and swim around to the left to collect all the treasure there. Then, wait for the water level to be high enough for you to collect the rightmost treasure and jump back to the platform with the ladder. Then, just go up and right to the door. 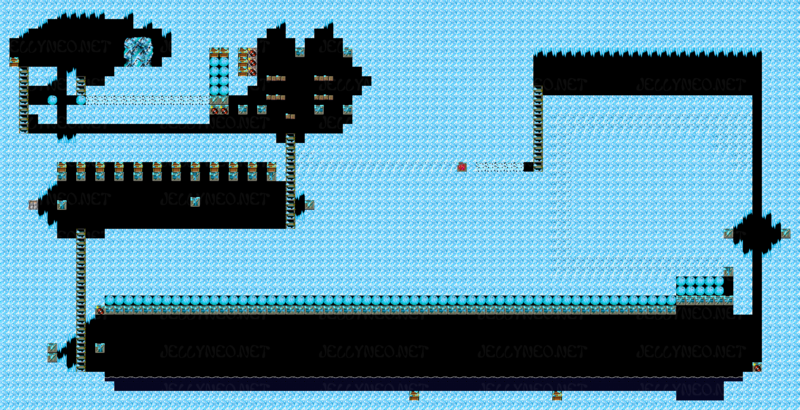 Jump up onto the platforms and collect the treasure on the far left. Then, jump down to the center to collect the next chest. Next, jump up to one side of the four boulders and knock that side down. Then, jump to the center and onto the other boulder to destroy the crate and push the top boulder to the side. Then, jump onto the platforms to the right of you and go up. When you get to it, knock the arrow and continue up the platforms until you get to the next spot of ground. Then, continue collecting the treasure until you come to the far left side of the screen and jump back down to the lower platforms. Crawl to the right and knock the arrow to the right of the door. Collect the extra life in the center of the platforms and jump all the way to the right and down to get to the door. Jump to the right to kill the guard, then jump down to collect the treasure and kill another guard before you jump to the right and crawl through ice to get to a ladder to climb. Jump down into the water to collect treasure. Then, get back to the top of the cave and wait by the dynamite. Knock the arrow near you and go to the right to kill the guard. 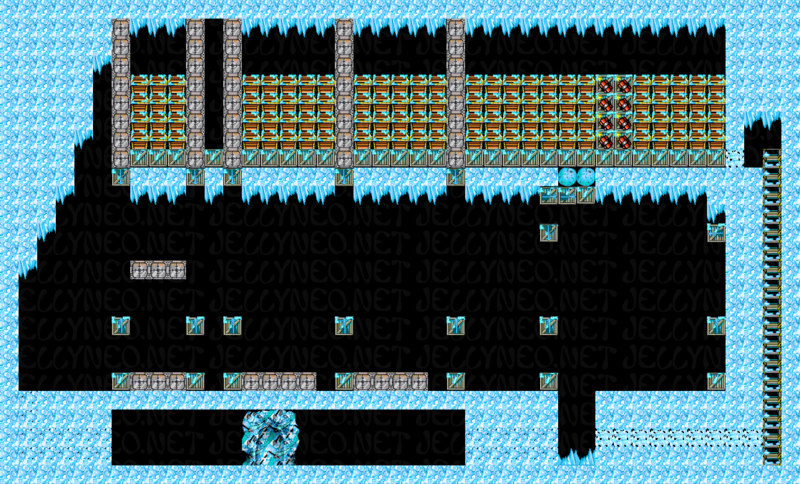 Then, jump down and go to the left to reach a tunnel of ice to crawl through. Next, go through it to collect the treasure on the other side. Finally, hop up the platforms to get to the next area and kill the guards so that you can stand by the door. Go to your right and down the ladder. Then collect the underwater treasure before heading off to the right. Avoid hitting the arrow as you jump to the next pool of water where there is also treasure. Next, swim back to the center and jump up the platforms to get to the top of the cave. There, knock the arrow before falling back down to the bottom. Then, diffuse the arrow in the pool of water and wait for the treasure to drop down. Finally, jump to the top again and go to the right to collect the last three chests and get to the door. There's no real science to collecting all of the treasure that you can with Hannah. What you'll want to do is collect all the treasure that you can without jumping down onto a ledge that you can't jump back off of. One thing that might help is thinking about completing the cave from top to bottom on the left side before completing it top to bottom on the right side. 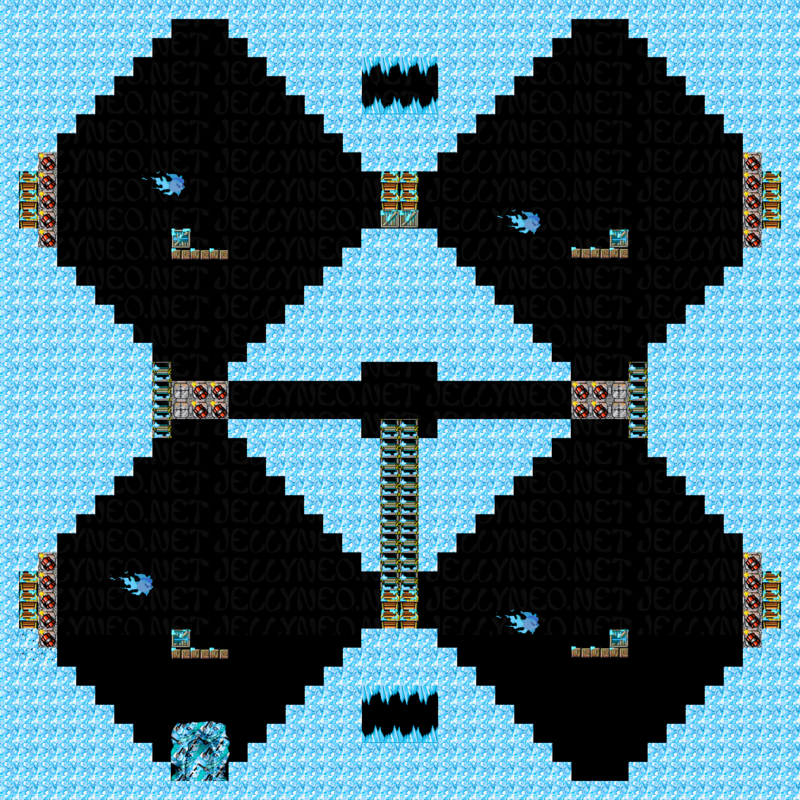 All Armin has to do for this level is crawl through the ice near the door and knock the arrow so that the dynamite blocking Hannah's path is blown up. Level 20 - Dig It!Background Phrase: Can you dig it? 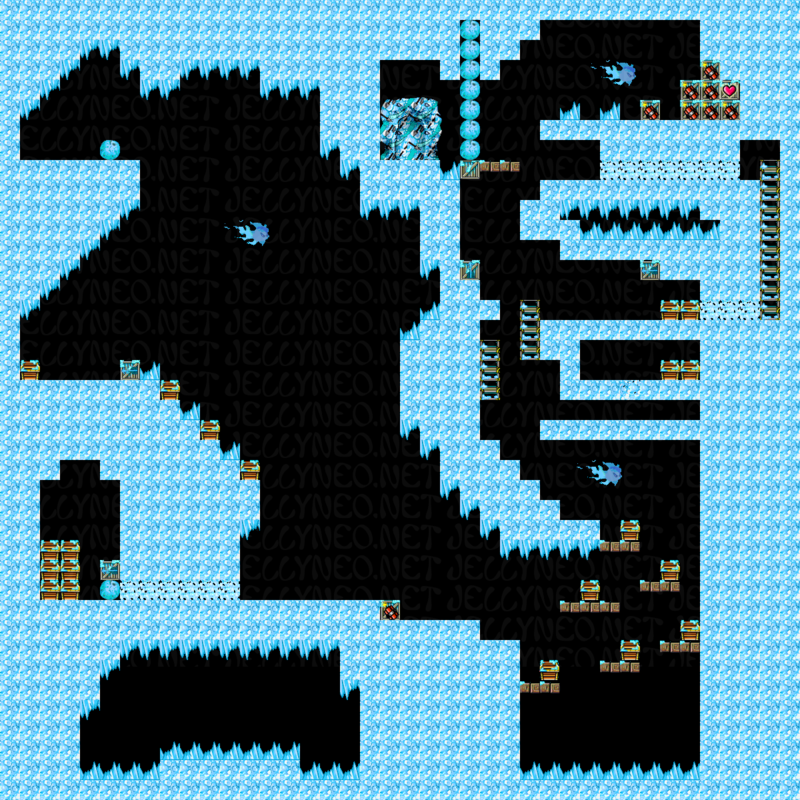 Climb the ladder next to you and knock the arrow on the first platform you come to when the Snowbeast below is almost all the way to the left of his path. Then, jump down to collect the treasure before you continue up the ladder. At the top, knock the arrow and go all the way to the right. Here, go down the middle ladder and collect all of the treasure at the bottom of the cave. Then, just climb back up the same ladder and down the rightmost one to get to the door. Crawl through the ice to your right and follow the path to the top. Then, continue to the right and crawl through more ice to get to the ladder. Then, just climb it and down the rightmost one to get to the door. Knock the two arrows above you. Then, drop down to the islands below (on either the left or right, it doesn't matter) to collect the treasure there. Next, keep dropping down to the other islands on your side (on the right side, there is a secret area with a gem next to the ledge with a chest on it). However, when you reach that ledge, do NOT drop any further. Do the same thing as you did for Hannah, but mirrored. At the bottom, you will need to kill the guard and diffuse the arrow, if you chose the right side. 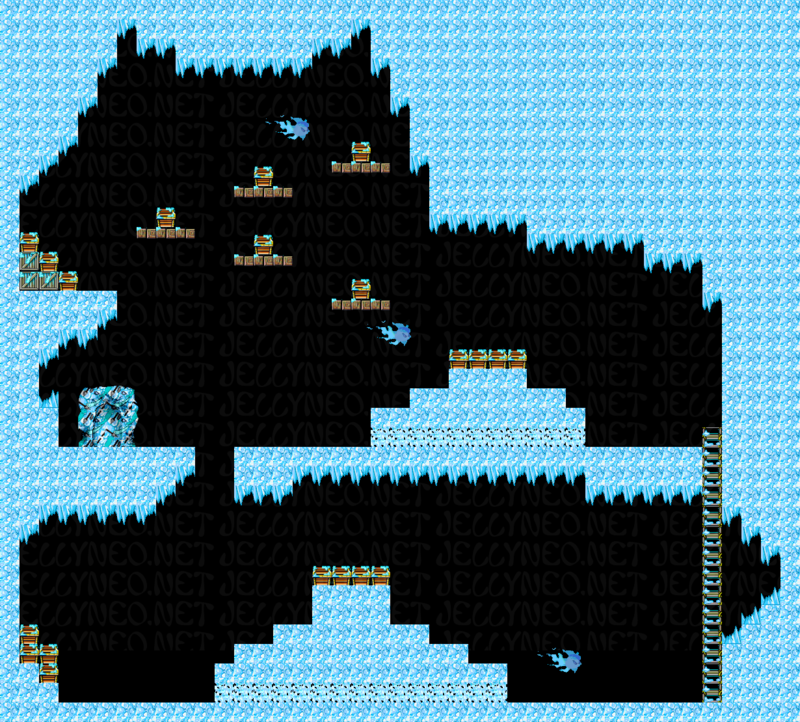 Next, crawl through the ice to the other side to collect the treasure there. 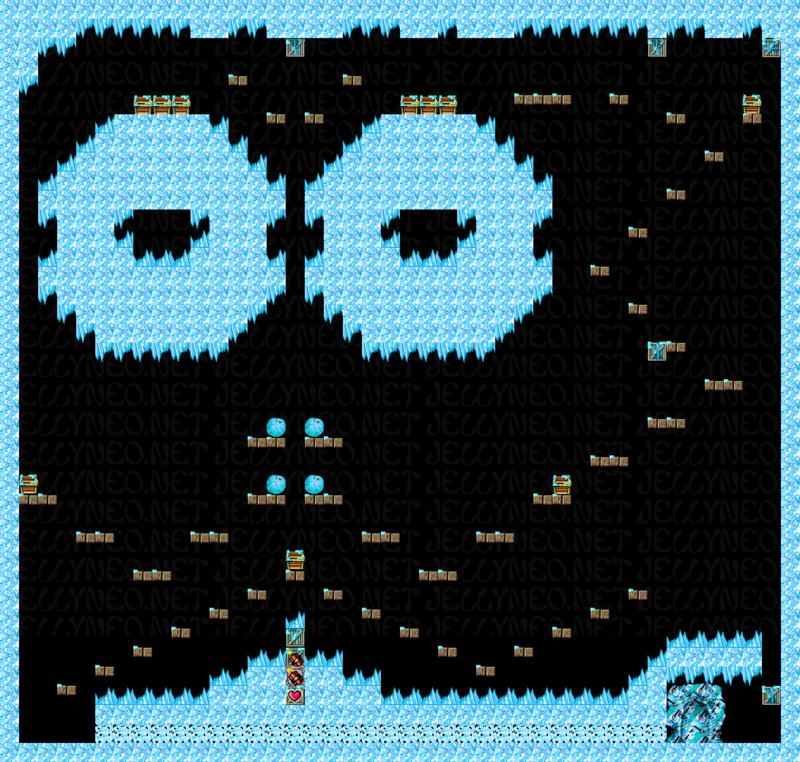 When you've collected all of the treasure, go all the way to the right and crawl through the ice. Then, just drop down and collect the chests on each of the ledges before crawling left. Once in the next area, knock the two arrows and head to the door once the boulders crush the spikes. Simply drop down from your ledge and jump down the opening on the far right side of the area. Finally, run left to the door. Jump over the spikes to your left without hitting the arrows above you. Then, leap down to the right onto the wooden platform, and then onto the ground. Next, knock the arrow, and make your way as far up and to the left as you can, ending in the upper left corner of the area. Next, jump left and into the secret area and head left. However, be careful to stop before you reach the drop down to the dynamite. Make use of the boulders that have now blocked the spikes and head to the left, making sure that you don't fall too early. When you reach the ground with the guard, jump down and kill him before tunneling through the ice to your left. Kill the next guard and knock the two arrows to defuse the dynamite. Next, jump up the ledges and climb up the ladder to the higher ground. There, kill the guard and climb the next ladder. In this last area, hit all of the bottom arrows by running through them, then, hit all of the top arrows and collect the treasure that falls down and get to the door. Fall down from the secret area and just follow Armin's path to the door. Jump from platform to platform to the right, but be VERY careful not to hit the first arrow you see. When you reach the second arrow, knock it and wait for the dynamite to diffuse entirely. Then, go back and knock the first arrow to get the boulder. Pushing the boulder, make your way to the far right, bowling over the spikes. Then, collect the treasure around the area and climb the ladder. When the ghost isn't near you, jump up onto the platform and go to the left, jumping up onto the higher platforms. Then, when you reach them, use the downwards arrows as jumping aids to get to the ladder on the far left. Climb down and through the tunnel below. When you climb the ladders on the left, be sure to collect all of the treasure in each of those areas. Then, when you jump to the right you will end up in an area that appears impossible to get out of. The spikes above you are precariously close, but you CAN get around them using a 'duck jump.' Hold the crouch button when you reach the far edge as well as the right button. Then, jump and presto! You're out! After this, just jump all the way to the right and to the door. Jump down and to your right to crawl through the ice at the bottom of the cave. Collect the treasure there and climb up the ladder. 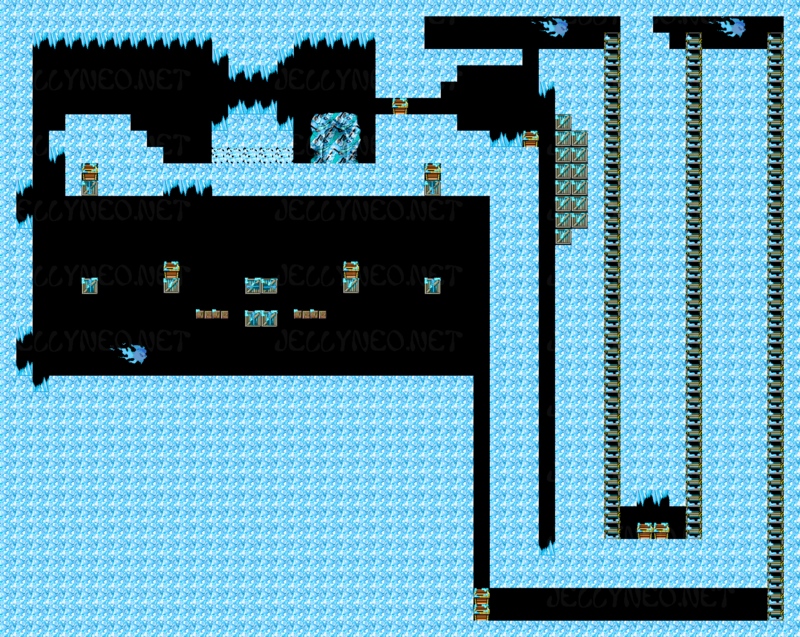 Then, careful not to hit any ice or the ghost, jump onto the platform and down into the ice again. Crawl to your left, knock the arrow, and, when you reach it, climb the ladder. From there, jump to your right, collect the treasure, and get to the door. Jump to your right and kill the guard, but stay a few steps away from the dynamite. Jump down into the water and swim to your left to collect the treasure, taking breaths in the air pockets above you when necessary. Next, swim all the way to the right (still taking those breaths) until you reach the ladder. Then, climb down to the bottom and swim to the left again, taking breaths and collecting treasure. When you've finished, swim to the right again and climb back up the ladder. At the top, knock the dynamite to the left and return to the door. Run to your right when the dynamite has exploded, and go to the door. Level 25 - Armin's TaskBackground Phrase: Take cover! Crouch and press the switch button. This will leave you in a crouched position so that you aren't killed by the ghost conveniently placed at eye level. Run all the way to your right until you reach a ladder. Climb the ladder to the top and wait by the door. Run to your left until you reach the treasure at the far end. Then, run all the way back to the right and climb the ladder to the next area. 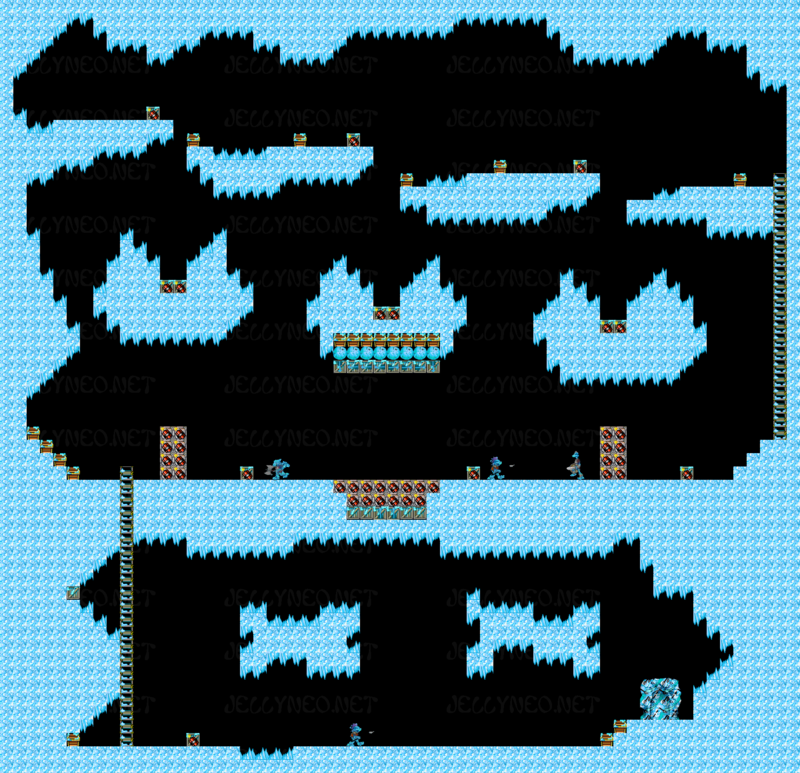 Here, crawl through the ice and jump over the platforms until you reach the treasure and on the far left side. Then, go back to the ladder and up to the third area. Do the same thing for this area (crawl, jump, run, etc...) before returning to the ladder and climbing up to the door. Go to your left and fall down to the ice below. Now, jump up and to the left, but be careful to avoid hitting the spikes right next to you. Once you reach the edge, jump all the way to the left and collect the treasure in the overhang there. Before you become tempted to jump down to your right, scoot out of the overhang and jump up to your left to collect the treasure on the other side. When you can see that there are no ghosts below you, jump down and climb the ladder to your right to return to your previous position. Collect the treasure there before climbing back down the ladder and moving on to the next one to the right. Climb it and collect the treasure at the top before taking a leap to your right in order to gather up the rest of the chests below you. Now, jump back down to the ground and climb the next ladder to your right. Collect the treasure at the top, but don't worry about the chests on the right. Descend to the ground once again to get to the next ladder (to your right again). Climb it, grab the gold, and climb down again. Now, make your way to the far right of the cave to collect the treasure there before climbing the next ladder. Go all the way up to the top and jump from platform to platform until you reach the last one before Armin. From here, jump down to your right carefully to avoid spikes. Next, simply fall down to your left until you've collected all of the treasure. Now just jump to the ground and crouch near the door to avoid the ghosts. Jump very carefully down to your right, and simply drop down left from here, just like Hannah did. Finally, run to the door to finish this level. Crouch and switch to Armin to avoid getting hit by one of the ghosts. Climb down the stairs and go all the way to the right, hitting every arrow along the way. When you reach a ladder climb down it and stay there. Jump from platform to platform all the way to the right, collecting all of the treasure as you go. When you reach it, climb the ladder and fall to your right, collecting the treasure chests mid-air until you reach the bottom. Knock the first arrow and wait for all of the boulders to fall before jumping all the way to the left and switching to Hannah. Make your way to the left and knock the first arrow near you. Wait for all of the boulders to fall, and then jump all the way to the left to stand on the right edge of the platform. Push through the boulder and kill the guard. Then, just knock the dynamite and wait for the crates to fall before jumping down to the door. Go to your left and climb up on the crates to the door. Collect the treasure to your left by destroying the crate before you begin your grand journey rightward. Push the first boulder into the spike pit (this will Armin-proof it for you later). 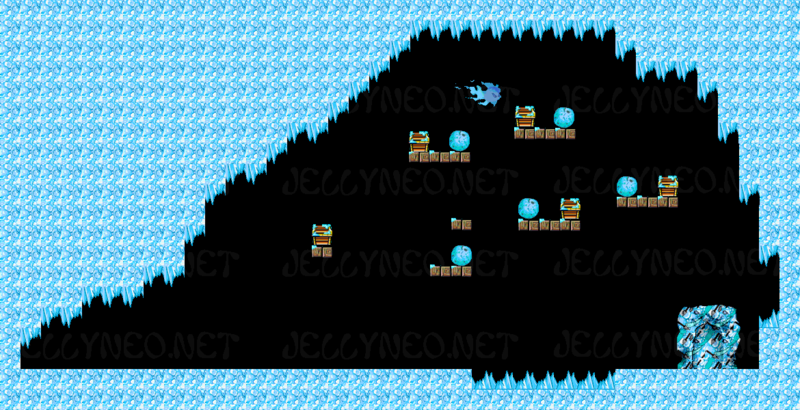 Jump onto the next platform to the right and push the two closest boulders into the spike pit. When you reach the third one, push it right and off the cliff. Follow it, but move Hannah a hair to the right so that she knocks the dynamite at the bottom. Knock all of the dynamite around you out of the way before you jump onto the ladder to your right. When you reach the top, collect the treasure and Armin-proof the spike pit with the boulder. Hop then to the platform to your right and do the same thing there. Once you're done with the spike pits, take a large leap of faith to your right and land in a secret area. From there, journey blindly right until you reach a large drop. Now, crawl to the left and push the boulder so that you can reach the treasure. With the newly Armin-proofed spike pits, follow Hannah's path, but just drop down to the area below when you reach the last platform on the right. From here, you can crawl right and enter the secret area. Keep crawling to the right until you reach the ladder in the secret area. Then, climb it and collect the treasure at the top. Knock the first arrow outside of the secret area and scurry back inside before a the line of dynamite falls on you. When it's done falling, knock the first crate of dynamite and run to the right to collect the treasure. Next, knock the rest of the dynamite that hasn't exploded to let Armin back through to the door. Jump down to the door and rejoice that this level is over. Level 30 - Muahaha!The last level. (In which TPOSG can make an appearance). Go to your right and knock all of the arrows except for the second to last one. Then, drop into the pit to your left and go left to the door. Drop into the secret area by running to your left. Then, run to the right and crawl through the ice until you reach the ladder. Scale it to the top and just hop from platform to platform to collect all of the treasure. At the end, drop to your left and re-enter the secret area to get through the door. Congrats! You've beaten the game! Skip To: Level 1 - Hannah Level 2 - Armin Level 3 - Icy Boulders Level 4 - Volley of Arrows Level 5 - It's Dynamite! 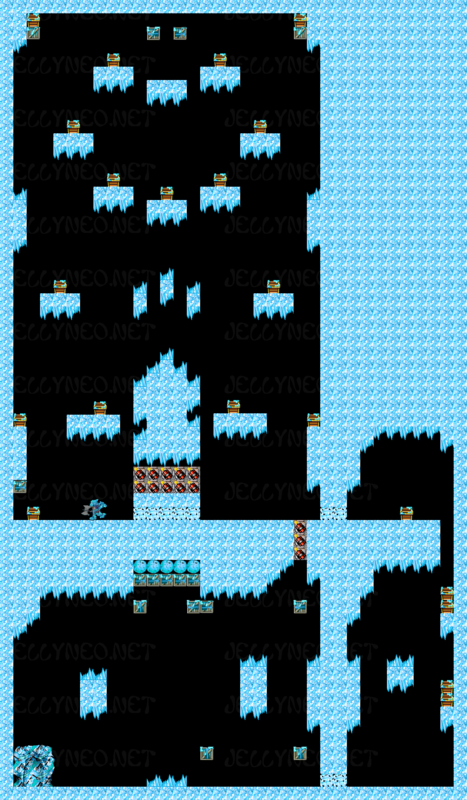 Level 6 - Warm Up Level 7 - Snow Beast Attack Level 8 - Spooky Caves Level 9 - Nothing But Nothing Level 10 - The Glacier of Doom Level 11 - Frosty Cavern Level 12 - Hannah's Solo Climb Level 13 - Big Trouble Level 14 - Fireworks Level 15 - Gunther's Revenge Level 16 - Splish Splash Level 17 - Stairs of Death Level 18 - Icy Skeletal Hordes Level 19 - Zig Zag Level 20 - Dig It! 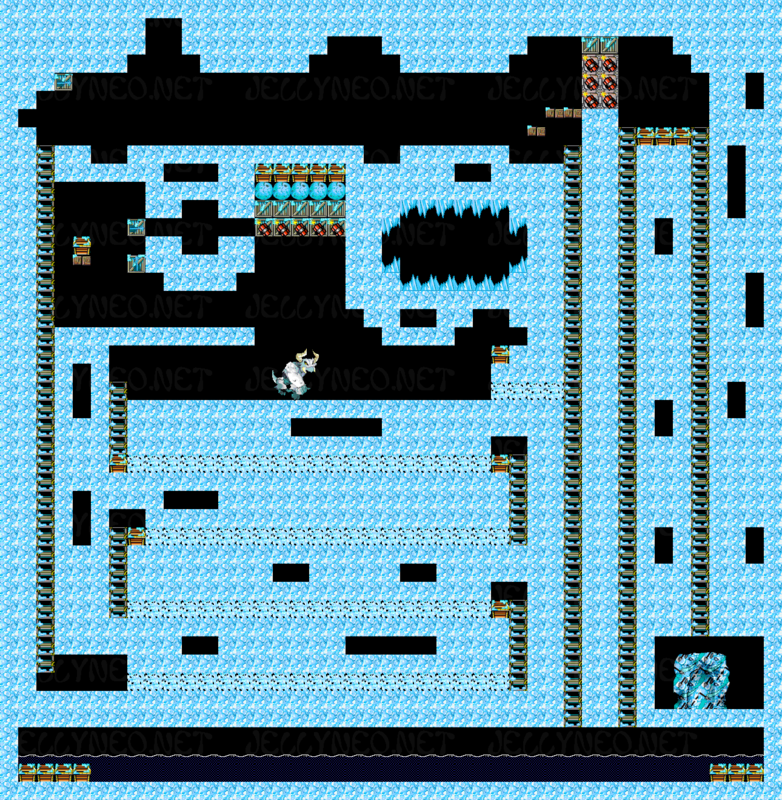 Level 21 - Icy Islands Level 22 - Hannah on the Rocks Level 23 - Arrowned Level 24 - Sunken Treasures Level 25 - Armin's Task Level 26 - Free Fall Level 27 - Winter Wonderland Level 28 - Avalanche! Level 29 - Jump Level 30 - Muahaha!